MEC Dube-Ncube hands over 100 title deeds in uMlaza. Cooperative Governance and Traditional Affairs MEC Nomusa Dube-Ncube, today handed over a 100 title deeds to members of the community and also announced the rebuilding of Inkonkoni Primary in uMlaza V Section, during a community engagement at Nkonkoni Primary School, which is situated in uMlaza’s ward 88. When the MEC visited the school and the ward 88 early in the year, she had found that the school had deteriorating infrastructure and that a number of elderly community members did not have title deeds to their homes. She had then made a promise to come back to the ward and fix the school’s deteriorating infrastructure in stages and also give title deeds. During the handing over of renovating materials to the school, she told members of the community that it was vital for children to attend a school that was in a good condition. The MEC further promised members of the community that she would build a playground inside the school. The renovating materials included paint, doors and window frames. “As members of the community, I urge you to be vanguards of this school, I call on all of you to protect the schools infrastructure and not let criminals to take away what belongs to you as the community,” said Dube-Ncube. MEC Dube-Ncube also handed over uniforms to students from poor households. 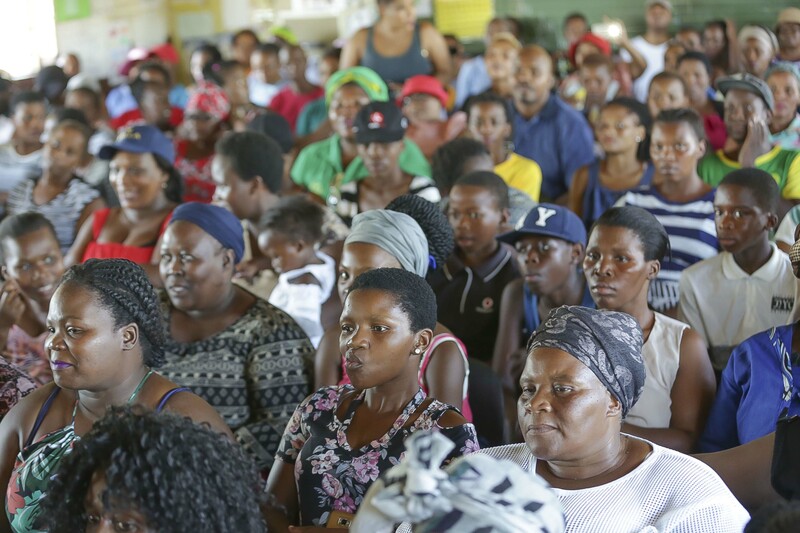 The MEC proceeded to handover a 100 title deeds to jubilant members of the community. Receivers of the title were also given groceries. “It is vital that we bring back dignity to our communities and by handing over these title deeds, we are doing just that,” said Dube-Ncube. The Nkonkoni Primary School was one of the schools that played a pivotal role during the freedom struggle as it sheltered freedom fighters.